BURLINGTON, Vt. (AP) — Lake Champlain has frozen over for the first time in four years. The National Weather Service in Burlington tweeted Saturday that the lake is completely frozen. 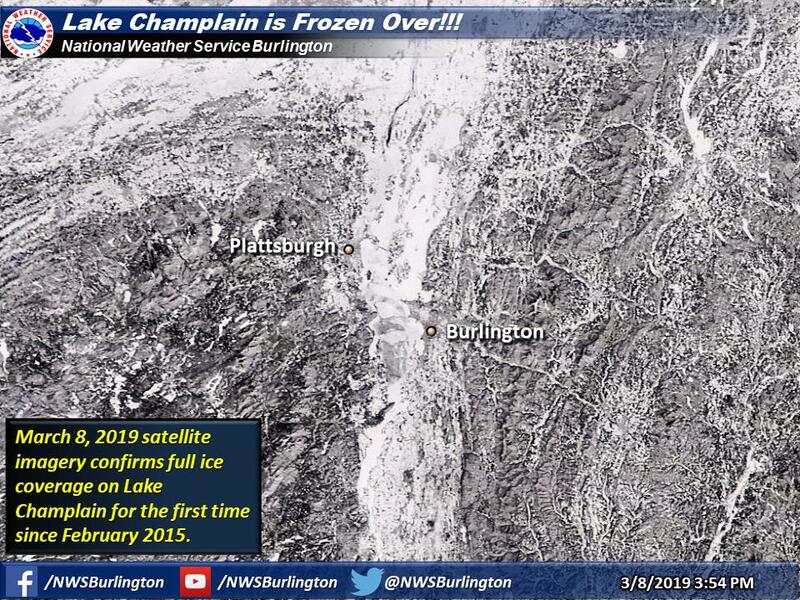 The tweet included a satellite photo dated Friday that shows full ice coverage on Lake Champlain. The National Weather Service says the last time the lake froze over was in February 2015.